The Cycling season is on! 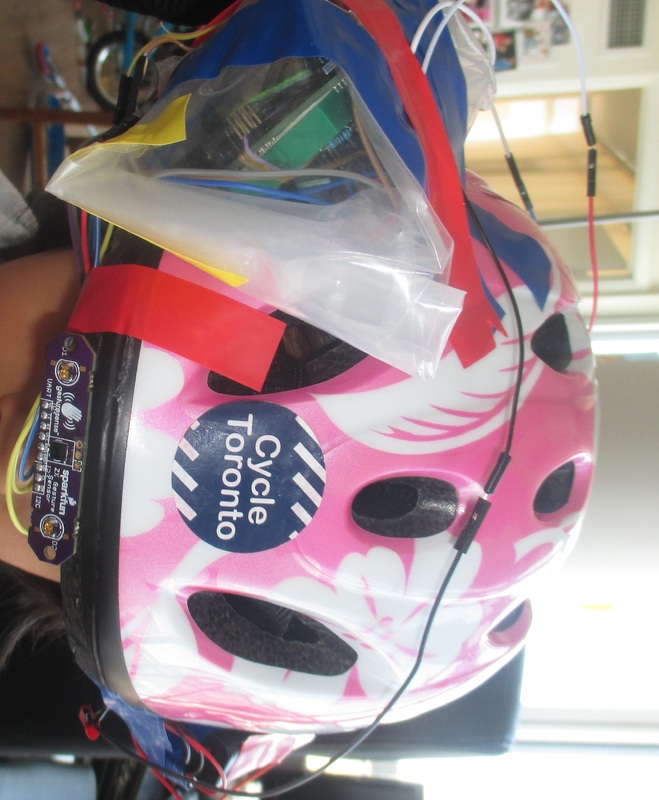 To help kids safely cycle in the cities we created a Gesture Sensing Helmet during the Hack’n’Talk 2015 held at the Ryerson Fashion Zone from 1-3 May 2015. 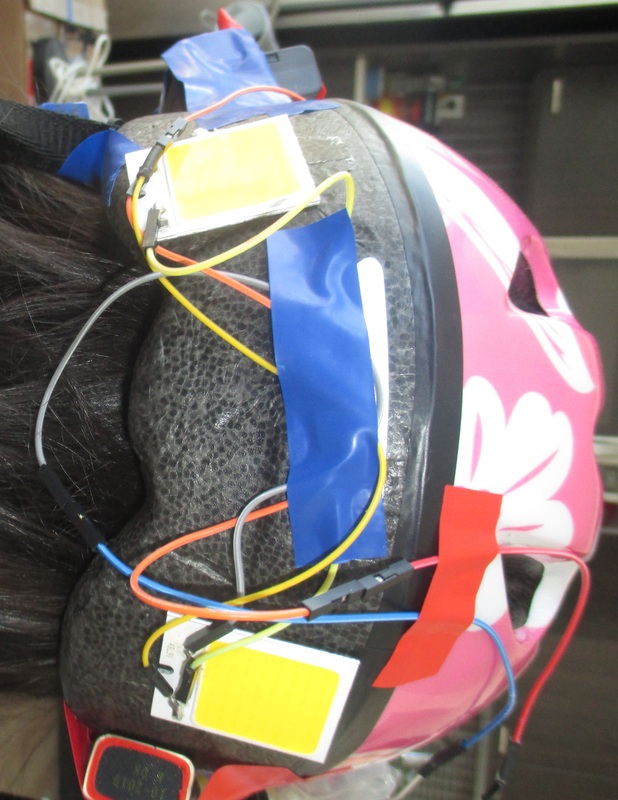 BeWareable : the gesture sensing helmet is able to understand hand gestures to turn left (wave left), turn right (wave right), and to stop (make a stop sign) It then switches on the respective LED indicators at the back of the helmet. It allows those trailing the bicycles (including cars and other cycles) to be aware of the rider ahead and know when he / she is going to turn. The product is powered by a Gesture Sensor, Arduino, and high-power LEDs. The gesture sensor only works at arms length distance. This ensures that only the gestures made by the bicycle rider controls the indicators behind the helmet, and any other external action does not trigger it on. A full working demo of the product was given at the Hack’n’Talk. BeWareable is easy to make and even children and families can make it. Previous Post Maker Families. 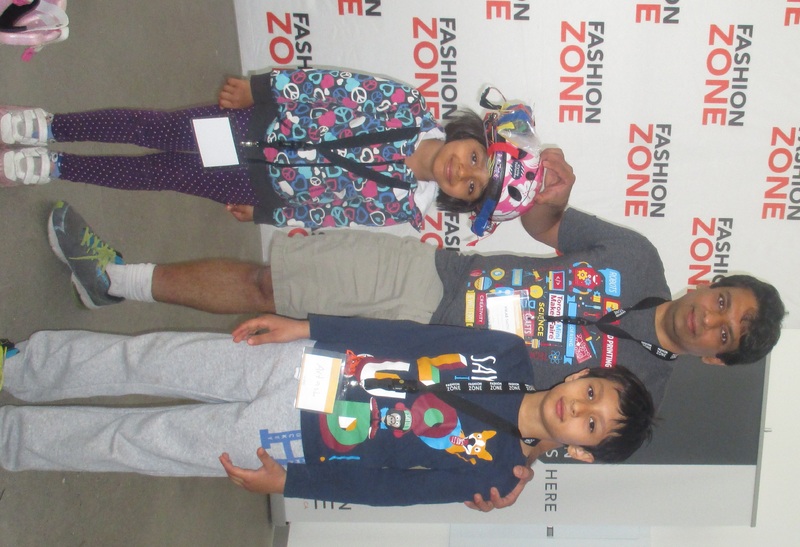 HotPopRobot @ International Space Development Conference 2015. Toronto. 22 May.